[16x] Jolicraft BEDROCK EDITION available NOW! Why just one person? Why not do what soartex, dokucraft, and sphax have done? That is let the community as a whole bring this pack alive and up to date so everyone can add textures and contribute to it. Not just one brave soul, but a brave community! It is safe to say that Jolicraft is dead. Don't be so pessimistic, Creeper2685. I contacted André by email and he said he's still working on it. He's a busy artist, though! Have patience and it will be updated. Summerfields has the same atmosphere IMO and it's up to date. thank you that pack is awesome! Download Jolicraft for MC 1.10! 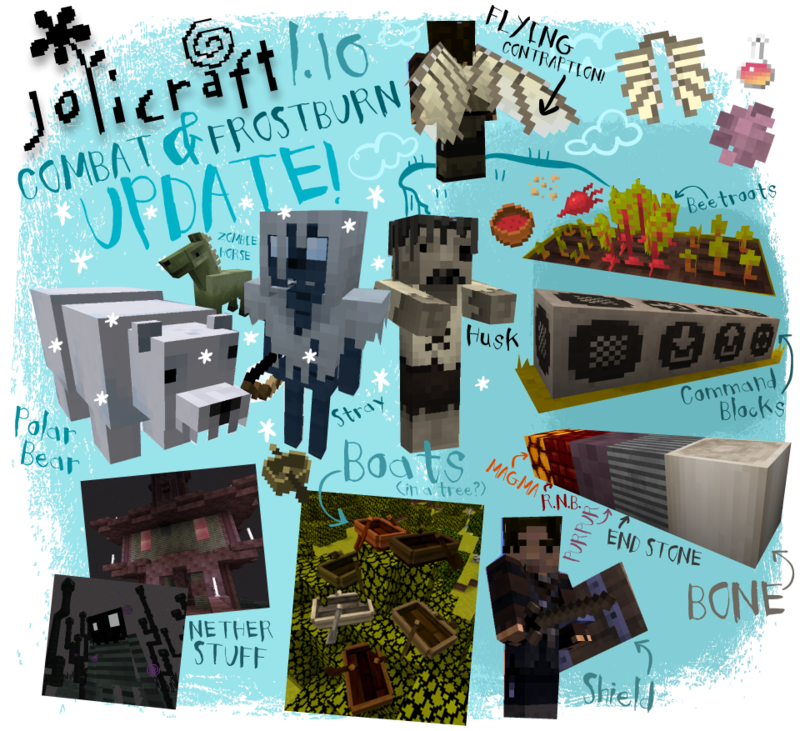 Actions speak louder than words, so thanks for your patience and here you go, Jolicraft is completely updated with all the latest stuffs. Enjoy! Sorry for the delay folks. Very very sorry. This has been on my to-do list for WAY too long. It was a tone of stuff to get done but I hope it was worth the wait. Please let me know what you think or if there's anything incorrect/missing/glitchy with the pack. Enjoy responsibly! I'm so glad you finally updated your pack. It's still awesome, I love it. I knew Andre wouldn't leave us in the dust. Nice job as always. Happiness is like peeing in your pants, everyone sees it but only you feel its warmth. That's great! In the future, if you get antsy and want to lend your skills, feel free to send me any textures you make and I'll consider adding them to lighten my load. FYI, I'm going to do the zombie villager mobs, add some randomized female villagers, and a few other small tweaks. If there's anything on your wishlist for the pack let me know and I'll see what I can do! Lo your new profile pic Andre is amazing. 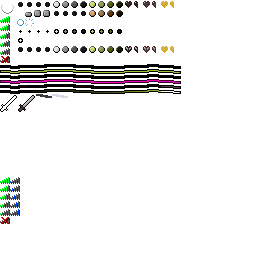 As for the pack, it would be great if you could put in all the textures from the customizer as alt textures. I think there's a few that have been lost to the void since the customizer went offline. Ah very good! I've added them to the pack at jolicraft.com for now, I'll do custom ones when I do the next update. Thanks! Where are the alternate textures? I have a question.. is there anywhere I can get a 1.8.9 download? Or would it be possible to use the 1.10 version on 1.8? Thanks! I made the raw and cooked mutton textures!